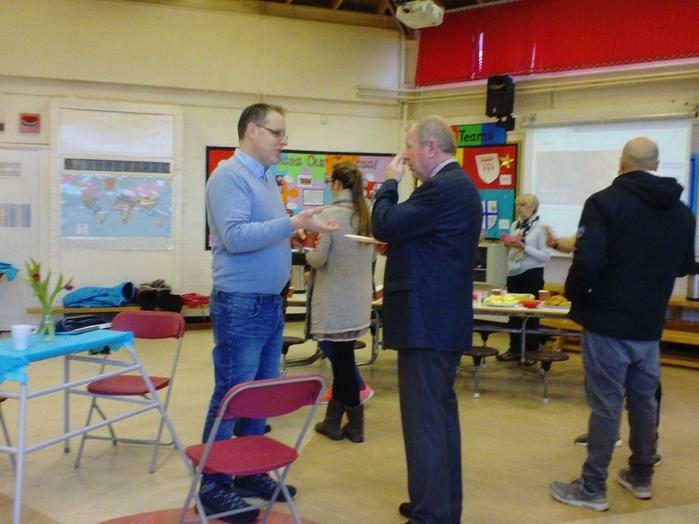 Chair of Governors Mike Robinson who is also responsible for SMSC and Artsmark came into school on our Arts Day, Tuesday 3rd July. He joined in with drama activities in Y5. 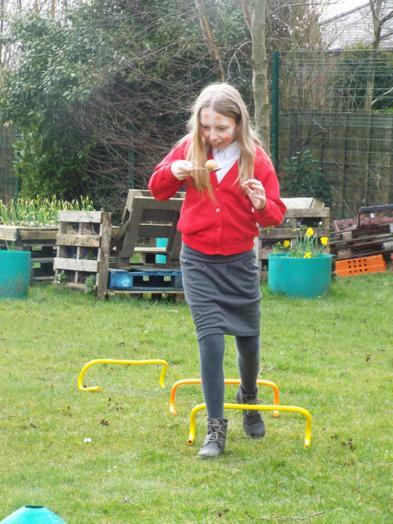 As well as drama we had a poetry parade, made music and created items for the sensory garden. A great time was had by all. 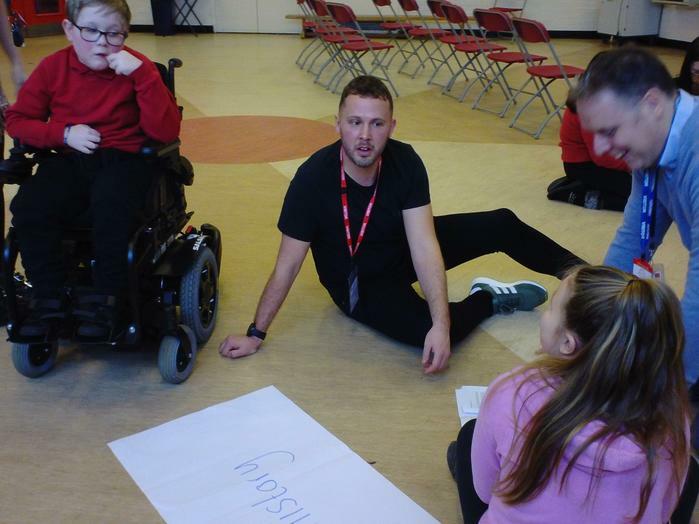 Safeguarding is the action that is taken to keep children safe, ranging from protecting children from abuse and neglect to keeping them healthy and safe in the school environment. As safeguarding governor it is my responsibility, together with the whole governing body, to ensure that the school meets the statutory responsibilities and to make certain that the children who attend Millbrook Primary are safe. I meet regularly with Miss Turner to discuss the systems that the school uses and how they deal with safeguarding cases and concerns. 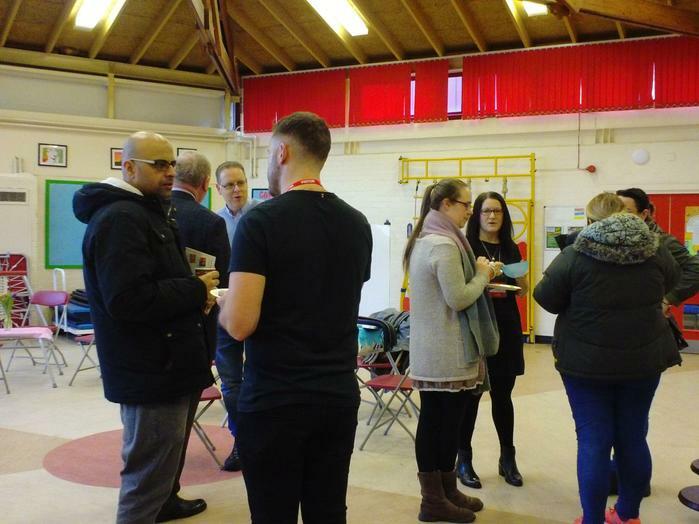 At our last meeting we discussed how the school ensures that systems and procedures are robust and rigorous, how staff concerns are reported, site security, the monitoring of absences and the school's critical incident plan. These discussions are then fed back to the whole governing body who question further procedures and practice. I am proud to say that external advisors have recognised the work of the senior leadership team and all staff at Millbrook as exemplary in relation to safeguarding. I was really pleased to be invited to spend some time with Miss Wright and her lovely Year 1 class today. Everyone was really welcoming and friendly and lots of children were so keen to proudly show me what they were doing. Two groups of children were working really hard on learning the days of the week and how to write them in their very best writing- really neat!! 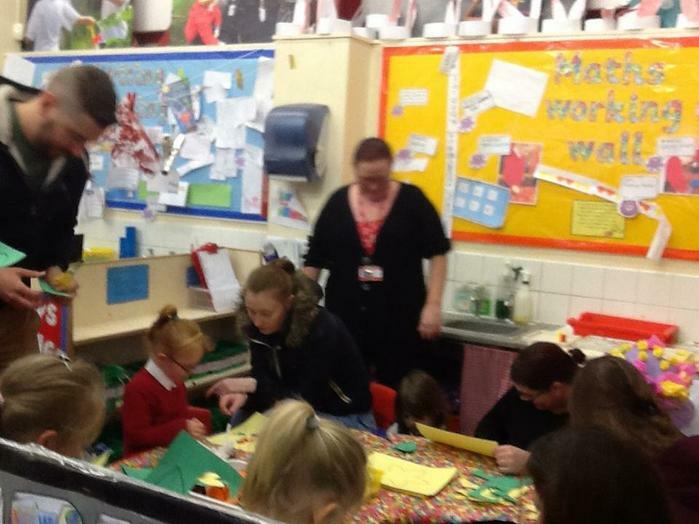 Everyone was concentrating hard to do their best! I really enjoyed seeing all the challenge areas and my playdough cookie was delicious! When it was tidy up time everyone got to work straight away to make the classroom spick and span in no time and I really enjoyed listening to the harvest song and the "happy song" before playtime. The classroom is really bright with displays, showing off lots of lovely work. Thank you everyone for making me so welcome, I'm really looking forward to visiting again. 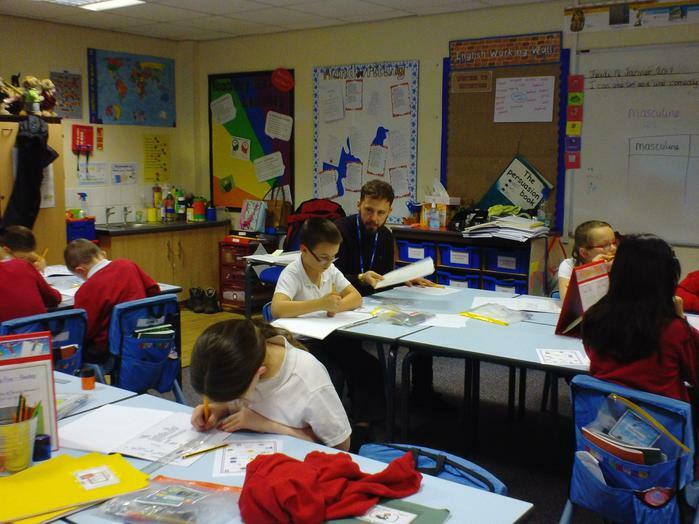 On Thursday 12th January 2017, I spent some time with Year 5. It was a pleasure to meet the class and get to know the children as their Class Governor. The topic in the afternoon was French, a language I have very limited understanding of! 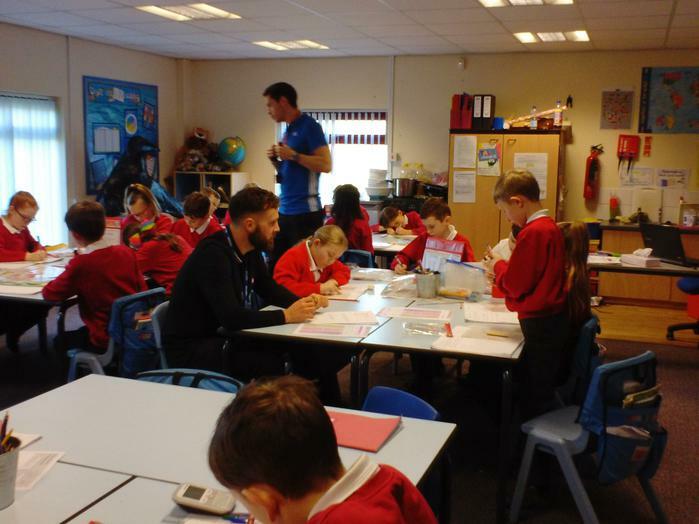 I was very impressed with the children’s level of understanding, they were tasked with identifying masculine and feminine French words and finding out what helps determine the gender of French nouns. 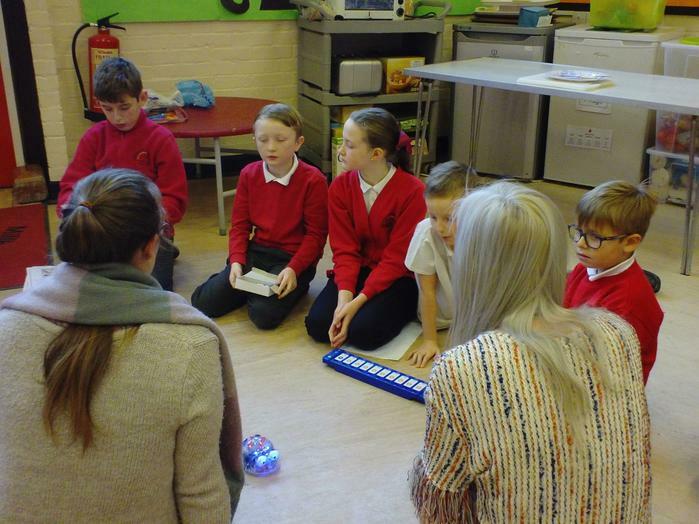 All of the children in the class were aware of what was required of them and it was great to see the children working in teams to solve the problems and helping each other. 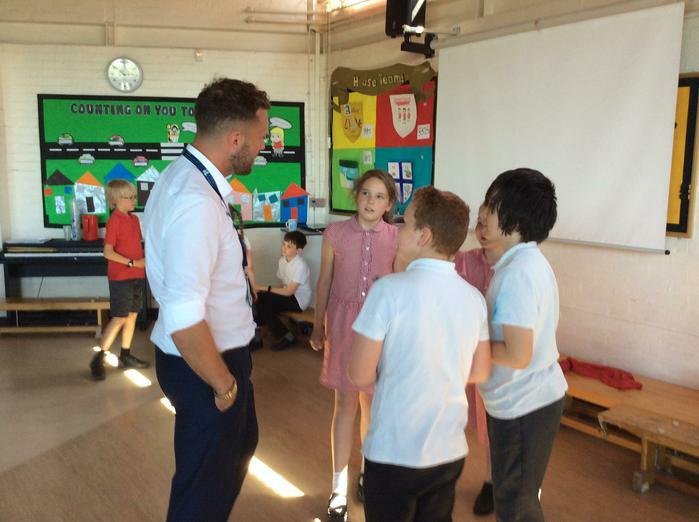 Thank you Year 5 for letting me join your class, I’ll see you again soon. On 9th November 2016, I, along with a number of other governors visited to School to be presented with the Forest School Leadership Centre Gold Award. 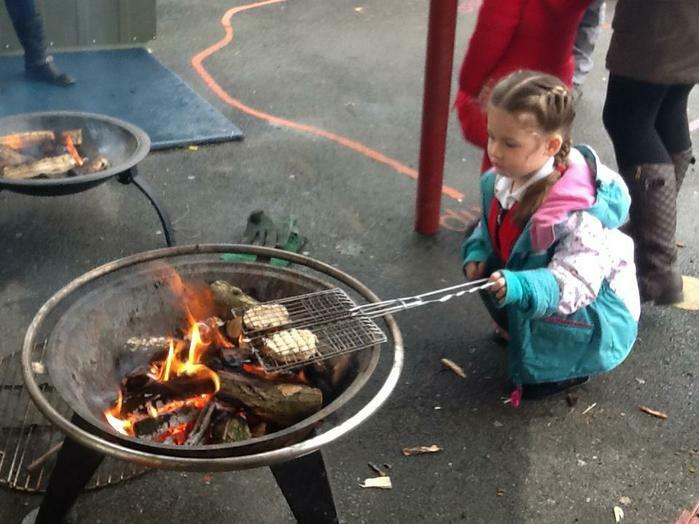 It is brilliant to see our Forest School area receive the recognition that it deserves. 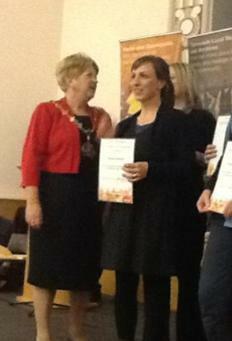 All Governors are very proud of the achievement and also of the hard work the Staff put in every day. At our last meeting of 2016 we met in Year 5's colourful classroom and spent a Monday evening reading about and discussing this wonderful school. 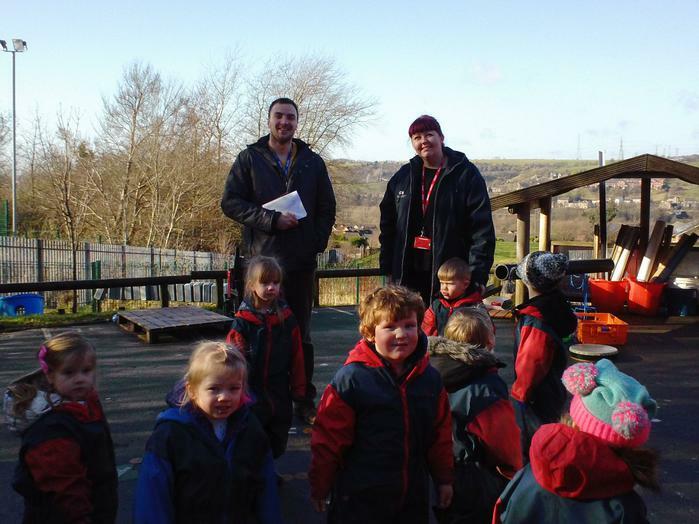 We asked Mrs Turner a range of questions about the school, student progress and plans for the future. 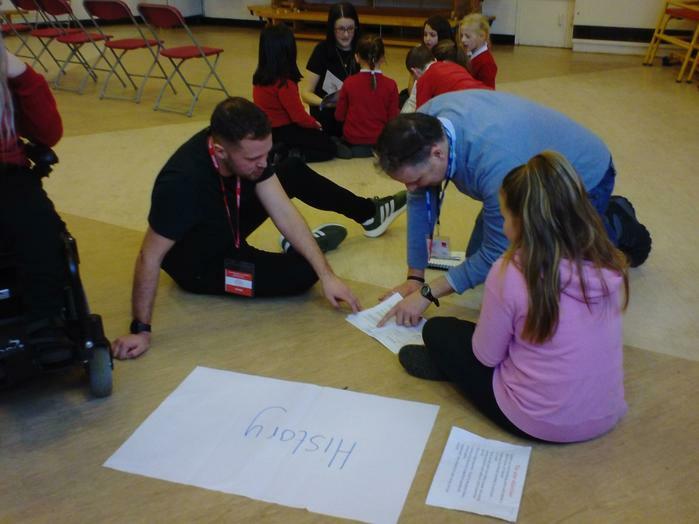 We also spent time questioning and examining our own performance as governors, evaluating how we plan, work effectively and ensure strong leadership and performance. Finally, we reviewed policies that contribute to all aspects of school life. If you have any questions or queries about your governing body please don't hesitate to chat to any of the governors who would be happy to answer any questions. 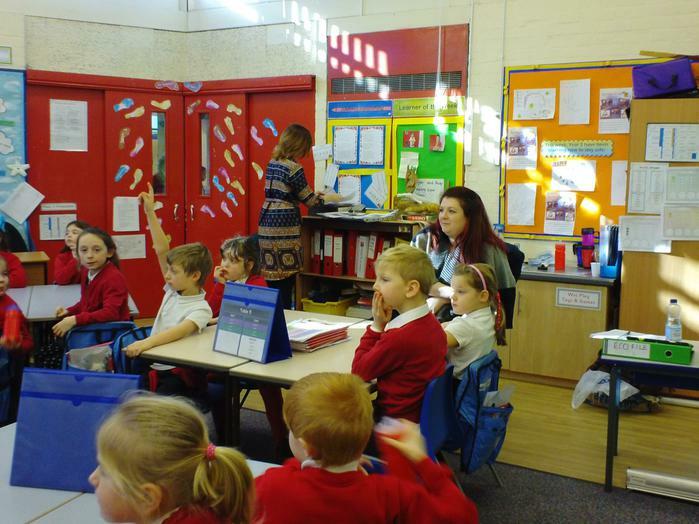 On Thursday 3rd November I was lucky enough to be invited to spend the afternoon in Year 2. 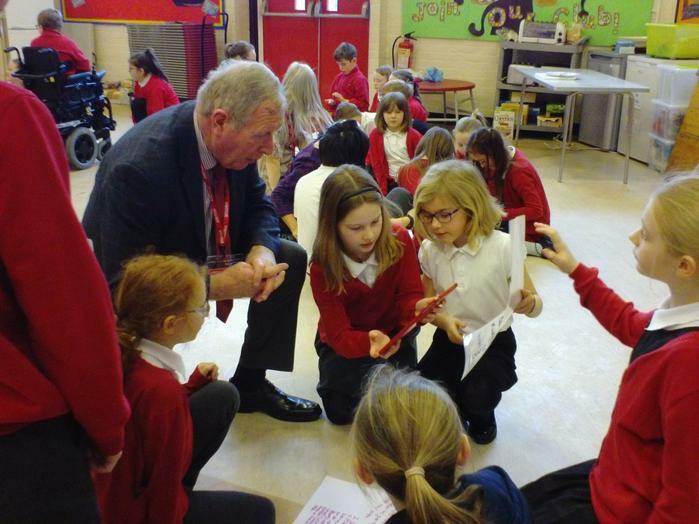 I met the class and was introduced to them as their class governor. It was road safety week in school and the children were engrossed in discussions about the rules of crossing the road safely. Once they had discussed the rules together they successfully completed an individual task and many of them could explain to me in great detail how to stay safe on the roads! The last task for the afternoon was to complete a survey on the iPads about how safe the children feel at school. What a fantastic afternoon thank you for having me Year 2! 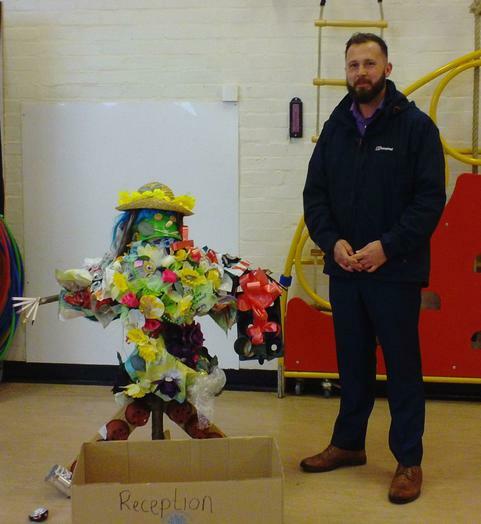 Mike Robinson had the difficult task of judging the scarecrows that classes had created from recycled materials in order to promote the harvest food collection! 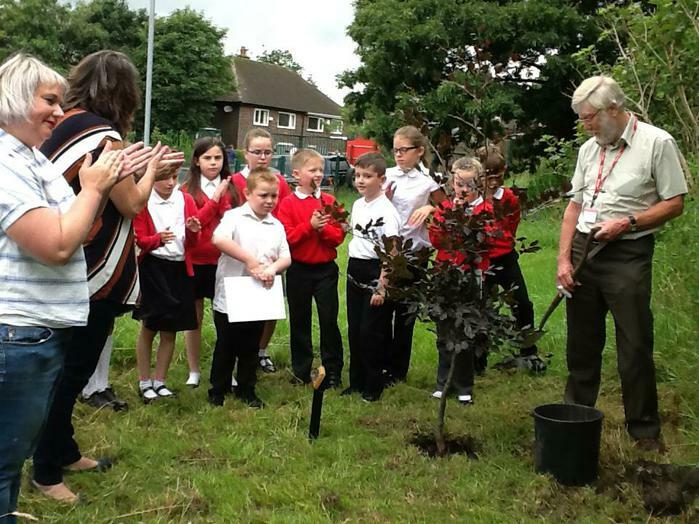 The school council thanked Iain Williamson for all that he has done for the school as a governor over many years, by planting a tree in the forest. 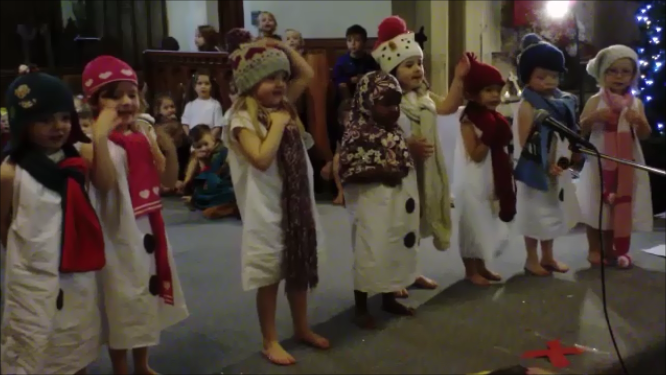 Last week I was lucky enough to go and watch nursery and reception perform their annual Christmas Nativity, only this year it was a bit different. 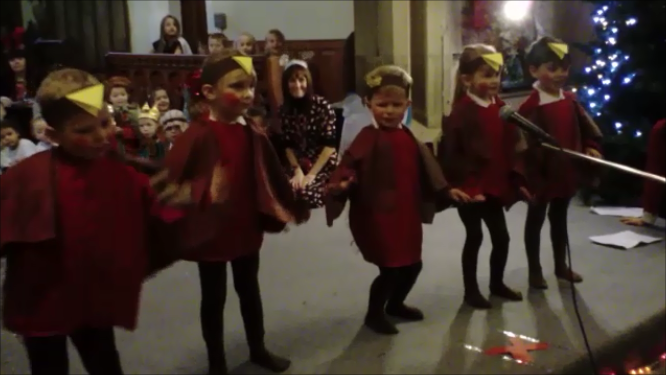 The children had suggested ideas and things that they would like to do, the result was the Xmas Factor, an extravaganza that showcased the children’s talents. From rockin' robins, to magicians, comedians to snowmen walking in the air it really was a fantastic show. St James Church was full with parents, Grandparents and carers who came to enjoy the singing, dancing, jokes as well as the traditional favourite Away in a Manger. I was very impressed with all the children who took part and can only imagine the amount of work and effort required to produce such a show. Well done all. “Where does Father Christmas go when he is ill? 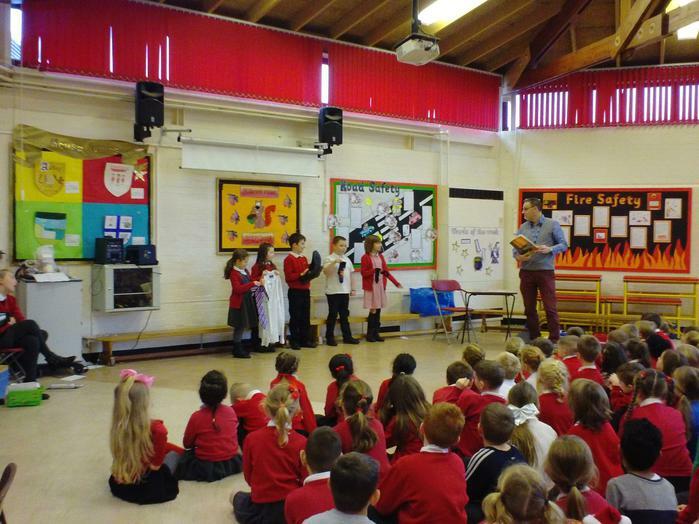 On Thursday 22nd October it was a pleasure to watch the school harvest assembly. 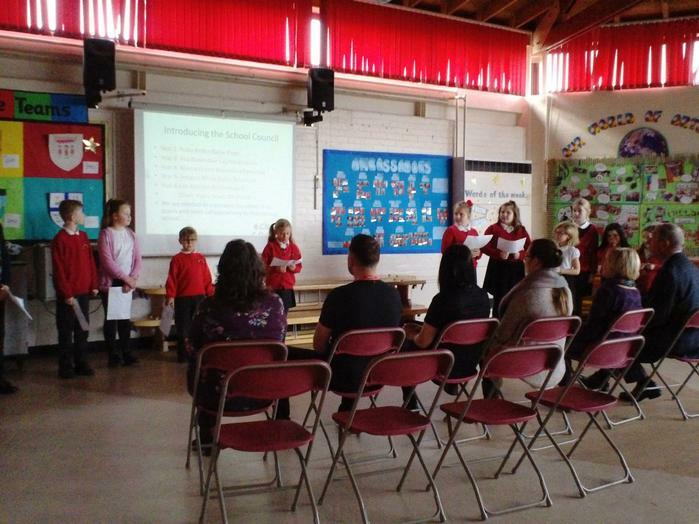 Every class performed a piece ranging from poems, to songs and prayers. I especially enjoyed watching the new reception pupils perform for the first time as dingle-dangle scarecrows and Year 3's Harvest Samba. It was also great to see pupils and parents support others in our community through food donations to the local food bank. Well done to all the staff and students, I am still singing 'Big Red Combine Harvester' a week later! The next few months for the governors will include meetings on money and resources and a much more exciting meeting that will take us into school to look at all the fabulous work taking place. 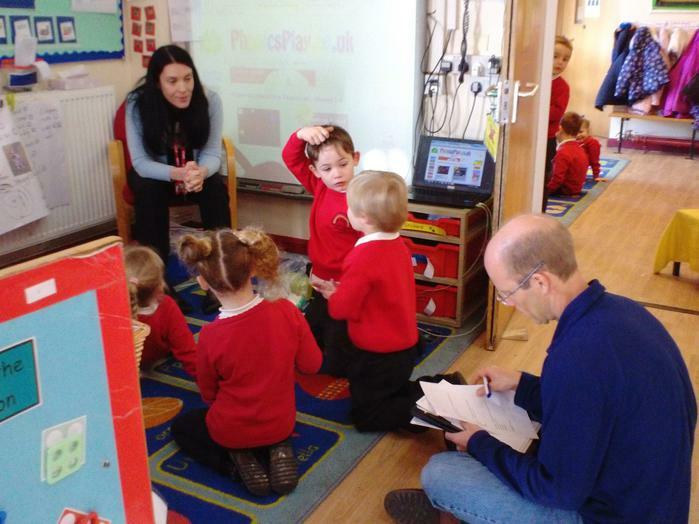 On Friday 16th October Early Years held a Harvest Workshop. 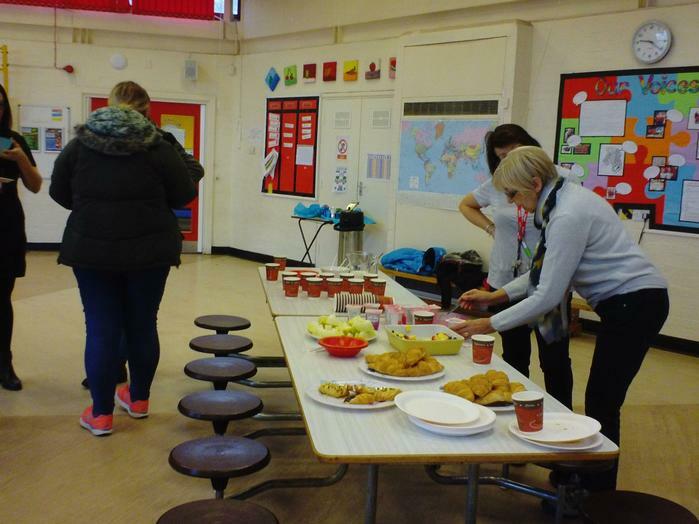 Parents and carers were invited to join in the exciting activities. 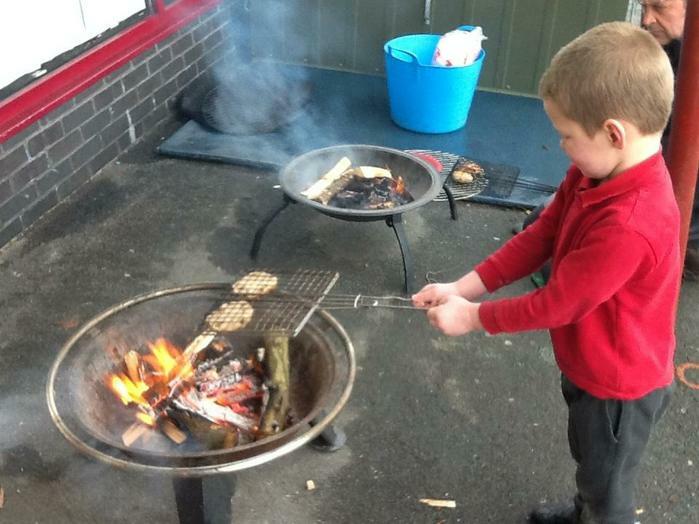 On a cold, autumnal day, we were greeted by a very tasty homemade soup made on the outdoor fire! 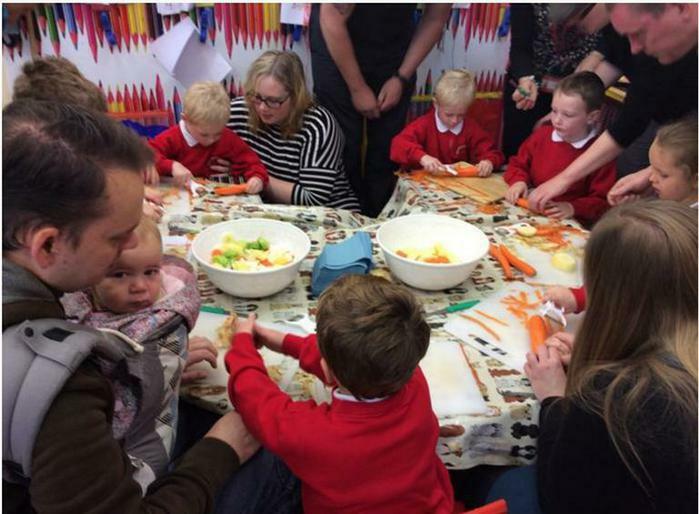 There were so many different activities to complete, one of the most popular was peeling and cutting vegetables to make a harvest soup, yum! 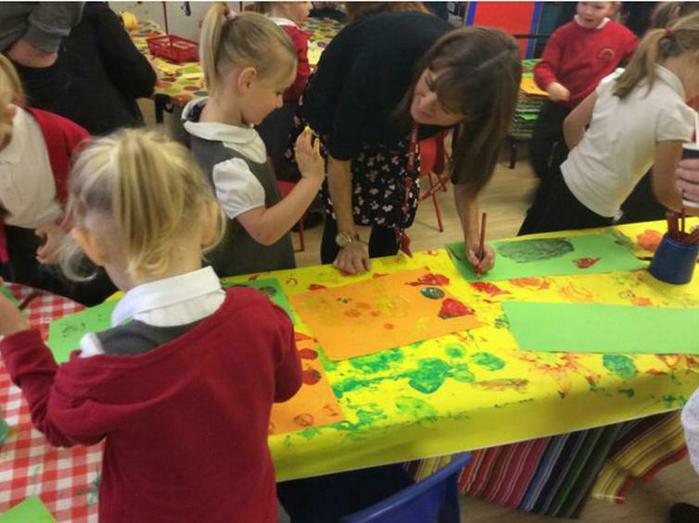 We painted, printed, cut and stuck as well as making chocolate apples, phew what a morning! 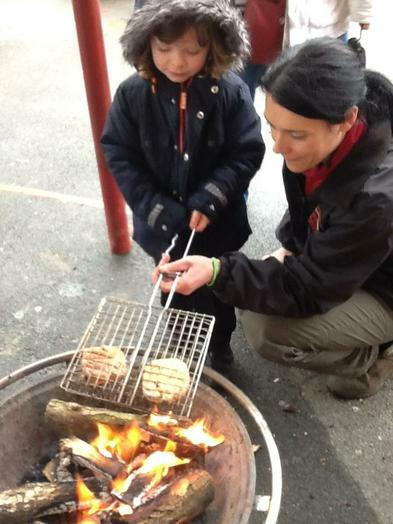 A fantastic success and thoroughly enjoyed by parents as well as all the children. Well done to everybody involved! 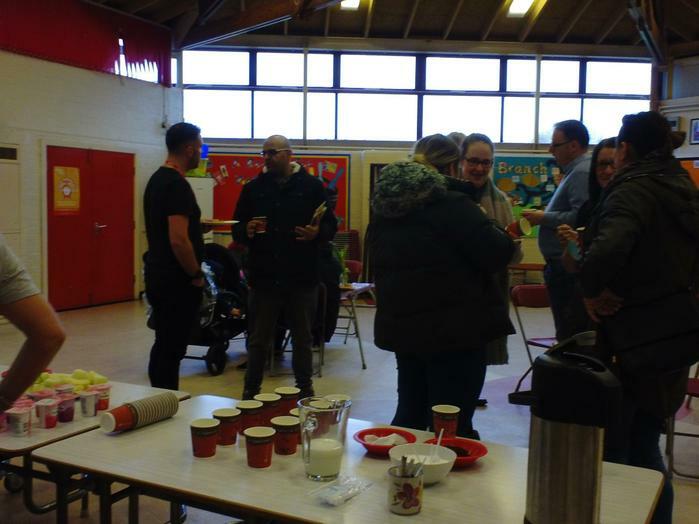 I had the pleasure of attending the Easter Fair on Friday 27th March and as always it was a huge success in terms of turn out and money raised. 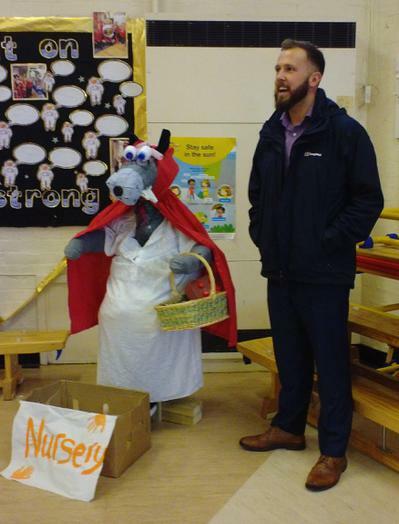 Given this was my first event as parent governor the school decided to go easy on me and ask Mr Cubbin to dress as the Easter Chick, not sure I'll be as lucky next year! 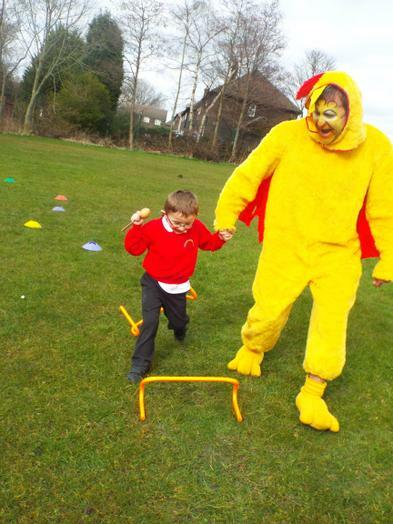 The egg and spoon obstacle course was in high demand for children and parents and I had the important task of ensuring that the Easter Chicks off-spring were returned safely (if you exclude the cracks). 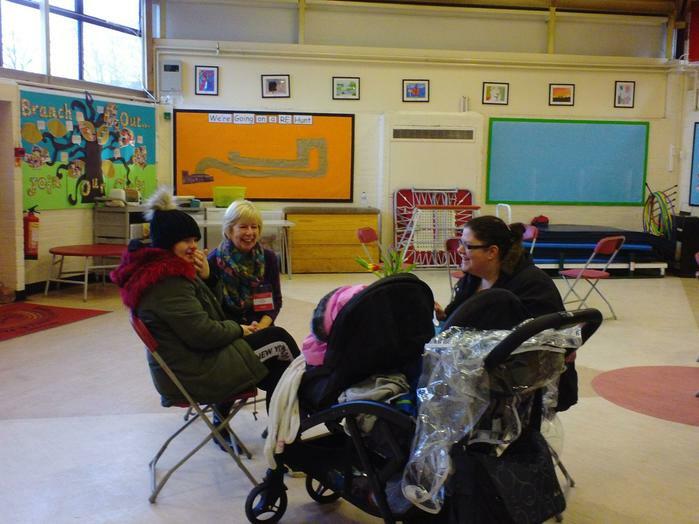 Combined with the ever successful tombola, Forrest school creations, face and nail painting masterpieces and all other activities it was such a fantastic afternoon and one I'm already looking forward to supporting next year. This week was governor open day and governors got the opportunity to come into school and look at all the wonderful things that go on. My morning started with a visit to reception were I tried to beat the children in an estimating game using grapes. I lost but we did get to eat the grapes after. 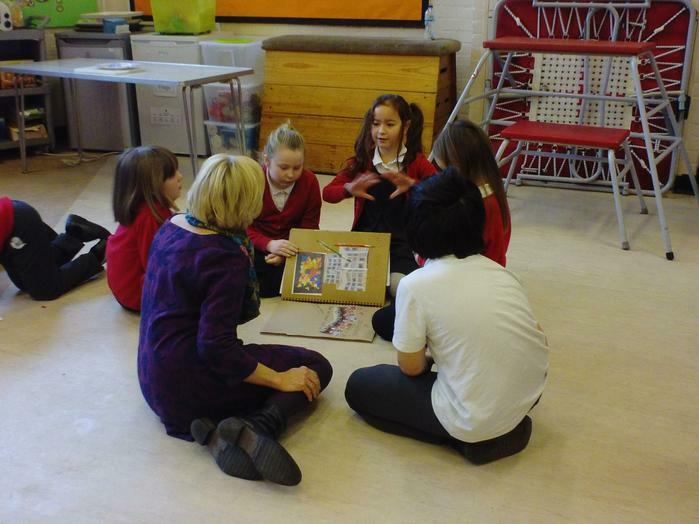 Then it was off to year 6 who were working with circuits and reporting to each other. I especially enjoyed working with Simeon, who showed real engineering skills in overcoming problems with faulty circuits. Then it was break but I lasted only a few minutes in the playground, it was freezing! After break, my favourite, out into the forest. We started by looking for the signs of Spring, which I am pleased to say we could spot. Then it was group work using rope to create different types of shapes. As always I didn't want to go back inside. We ended the day by talking to the Eco Warriors, they were inspirational and have made me think more about being green in my own home. 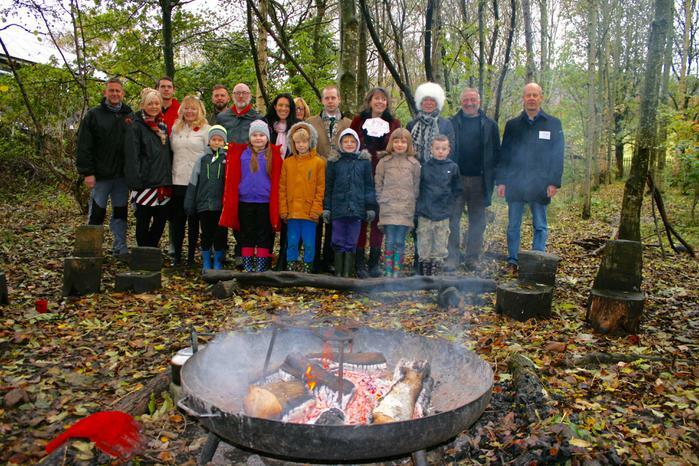 On a cold but fine day in November we all joined forces to dig, rake, cut and clear our amazing forest area. I worked with year 3 children on clearing the raised beds which had been home to a range of veggies earlier in the year, in fact a lucky few even found the odd beet root! For me the best thing about the day was seeing everyone come together to help prepare our forest for hibernation before it welcomes back all our children for new adventures in the Spring or was the best bit getting another chance to see the Yurt or climb the tree house? Either way I think I did more playing than digging, it's impossible not to out there! Over recent months Mrs Moses along with all other teaching staff have worked very hard towards applying for a prestigious award – Arts Mark. 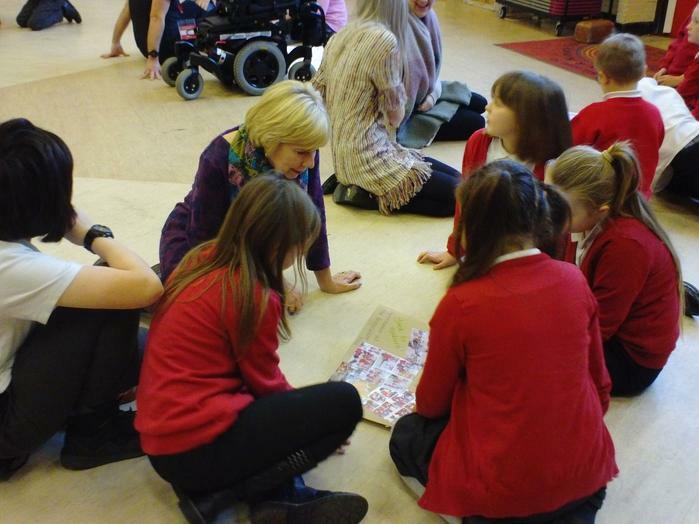 On the 24th September 2014, Millbrook welcomed a representative from the National Arts Council to School. I assisted Mrs Moses in taking the representative around the School where all aspects of the Arts were on full show in every classroom. 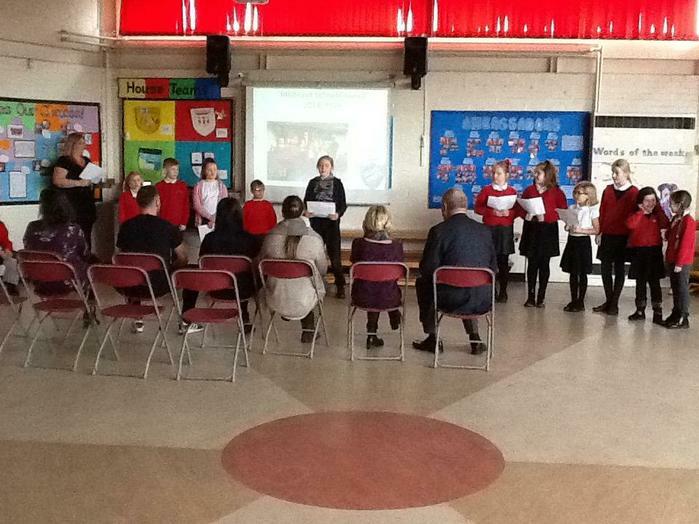 They were very impressed to hear about our pupil led, Arts lunchtime club and also got to experience a Drumskool lesson. 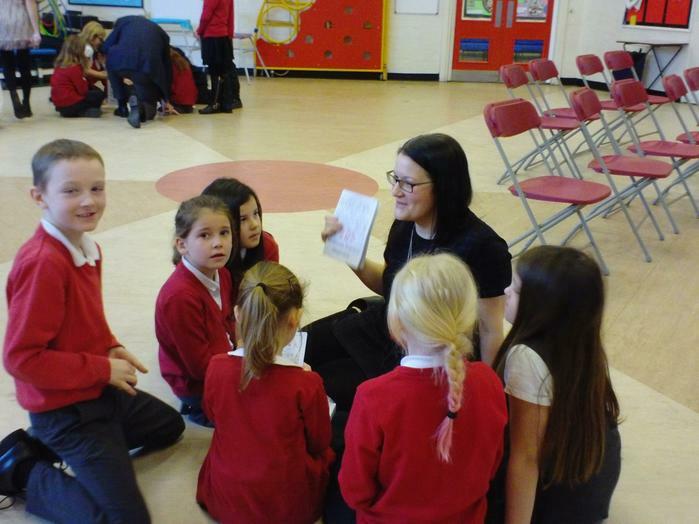 They were also particularly interested to hear about what the children had to say about the Arts and the experiences that they are offered in School. We have since been informed by the Arts Council that they were so impressed by our application and by what they saw in School that we have received the highest possible award - Arts Mark Gold. "Can I please Thank You and all at Millbrook School for a lovely and very informative Governor open day. The whole day was a joy, all the children and staff were welcoming and informative, it was nice to see the school at work and as always my favourite part of the day was dinner with the children. 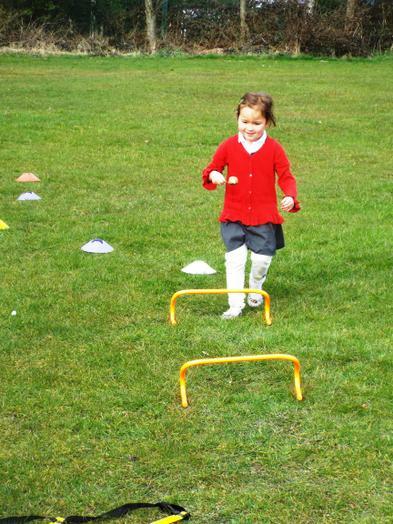 I again witnessed a level and standard of work from the children that I can only wish I had been given when I was at primary school." "I totally agree with those comments, it was great to see the love and enjoyment that the pupils have for the school and their work. I will never forget Samantha from Reception skipping with delight as I read her amazing fairy story! Lunchtime was particularly good with children excitedly telling me their favourite thing about school and Ebony telling all about her time at Millbrook Primary School. The teaching staff really are our best asset and the pupils such amazing ambassadors for the school. This week the Governing Body had our second meeting of the year which was made even better as we got to sit in the new year 5 classroom, which like the rest of the school looks amazing. 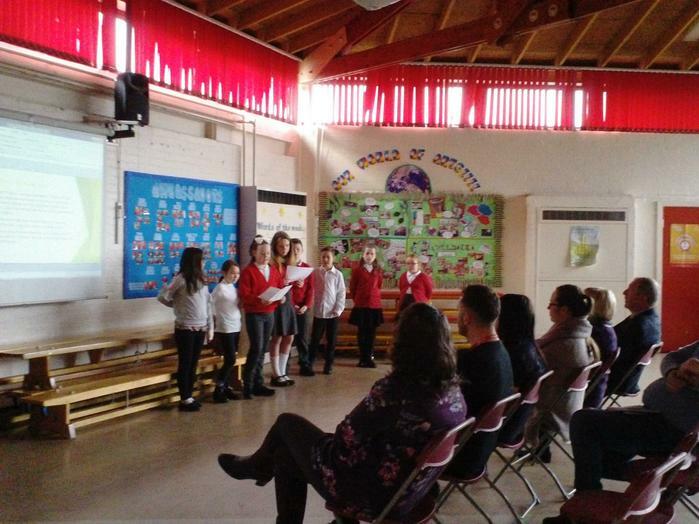 The essential (but often boring bits) were duly covered and then we got on to discussing the fantastic performance and progress of the school as Miss Turner shared her heads report. As governors we were able to question the data and learn about exactly what goes on in our school ranging from attendance to reading intervention, Forest Schools to outstanding lessons, it made for happy reading. 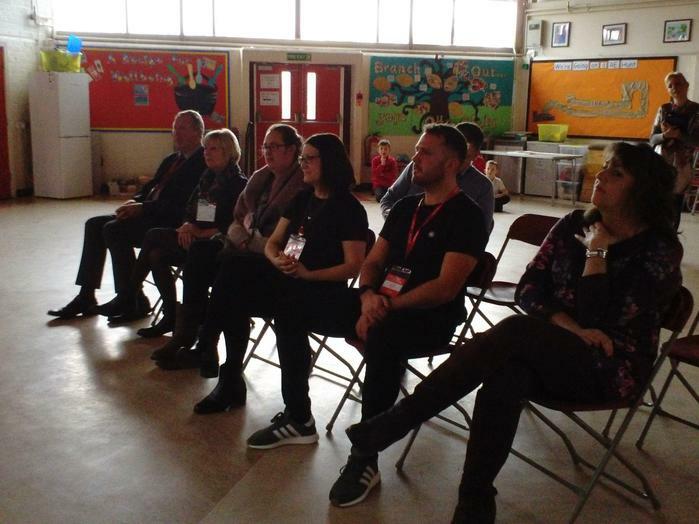 We were also pleased to learn that professionals from outside the school had agreed with our judgments and since they are impressed by the schools achievements we know its not just us being biased! Governors all expressed how pleased they were to have the opportunity to become more involved in school life and shared their experiences of visits to class and trips, we look forward to getting to know more students, staff and parents. 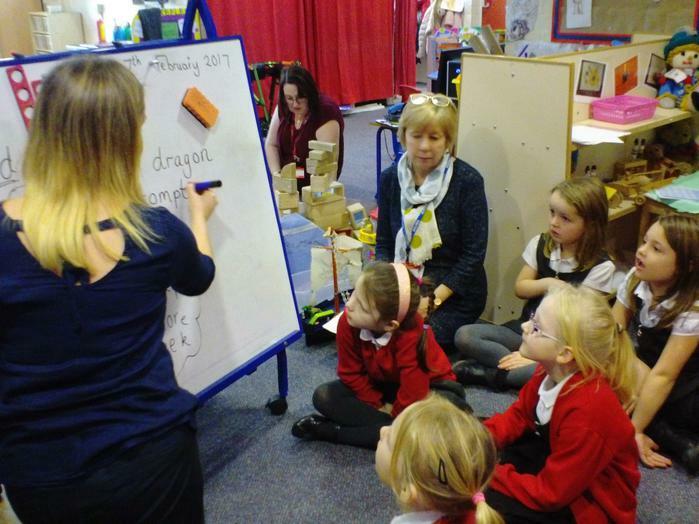 A working party of governors visited our school recently to observe the classroom environments and the use of pupil premium interventions. - vibrant classrooms and stimulating learning environments with enthusiastic and motivated children and staff. - the new school environment was amazing and it was felt that this must have a hugely positive impact on the whole school. 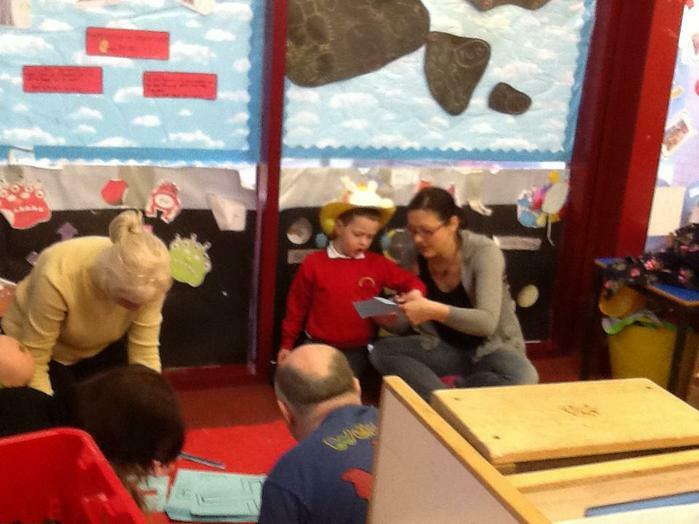 - the relationships between the children and the classroom staff were observed to be positive and good.